In July of 2019, a team of volunteers will be traveling to Armenia to work and advocate alongside our residents and staff. This incredible specialist team through The Inclusion Collective includes Speech Language Pathologist Mandy Kaiser, Doctor in Clinical Psychology Linda Abadjian, Community Organizer & Systems Advocate Anna Finkelstein, Independent Living & Advocacy Coordinators Julie and Lowell Aird, as well as Specialist in movement-based therapies Melissa Carey and Training & Logistics Support Christopher DiRosa. Thank you to these dedicated volunteers for donating your time to serving our residents and learning and sharing together with other professionals to build more inclusive communities around the world. 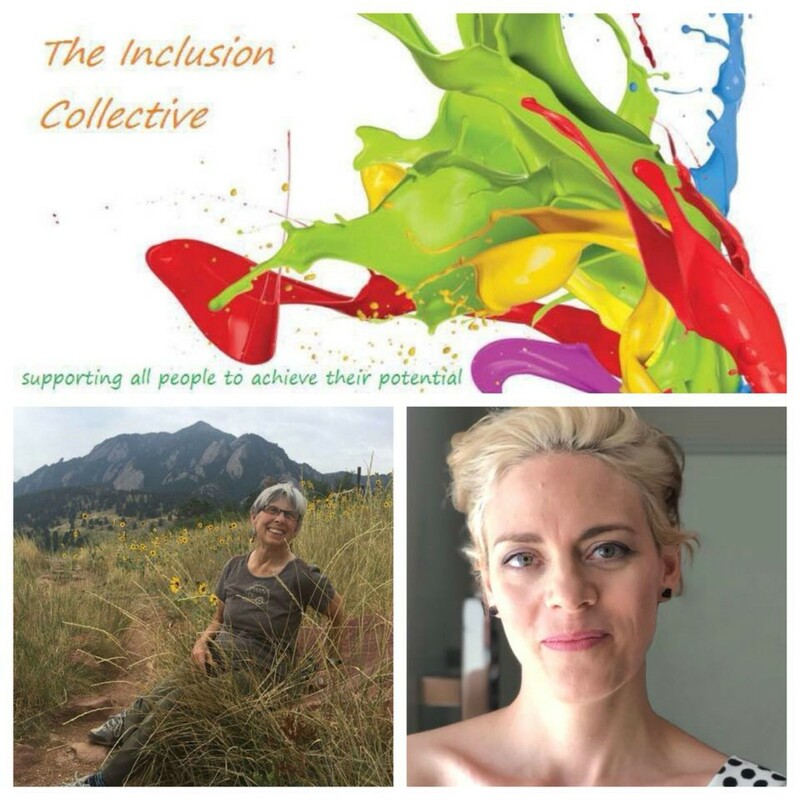 The Inclusion Collective will be sharing updates from the team throughout the year. Follow them. In a world that often operates on the principles of big work and small love, Jermik Ankyun stands out as different. Jermik Ankyun was born out of love and is a small movement that focuses on providing peace, nurture and hope to orphans with diverse abilities who have outgrown the orphanages in Armenia. Instead of relegating this vulnerable population to psychiatric institutions, Jermik Ankyun has created an alternative. 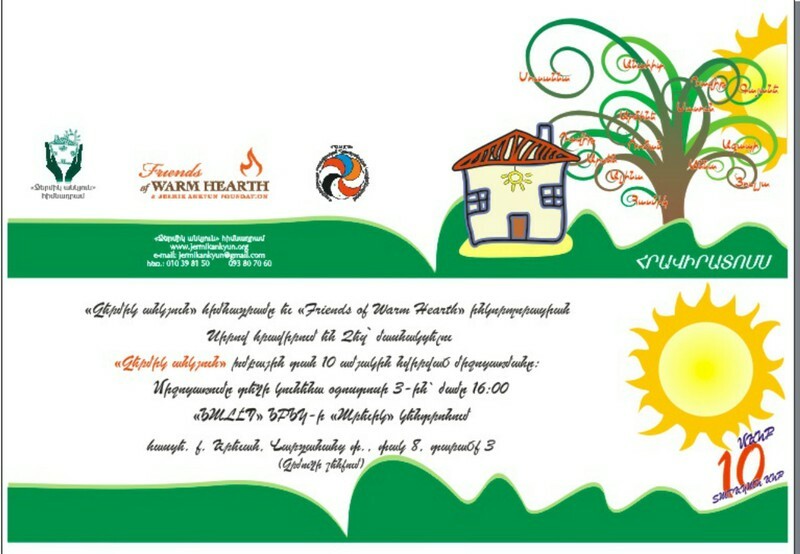 Our first home in 3rd Village opened in 2006 and this Friday, 11 May, we open our second home in Arinj. The celebration, to be held at 12:00 pm at (insert address here) is open to the public. Jermik Ankyun creates family for those who are without and in the meantime, those who join in this work become family as well. This unorthodox family consists not only of theor residents, who are the heart (center) of their work but also of people from Armenia and around the world. Change is palpable in Armenia at this time and Jermik Ankyun is on a parallel journey and following these threads of change. Please join us in celebrating ten years! 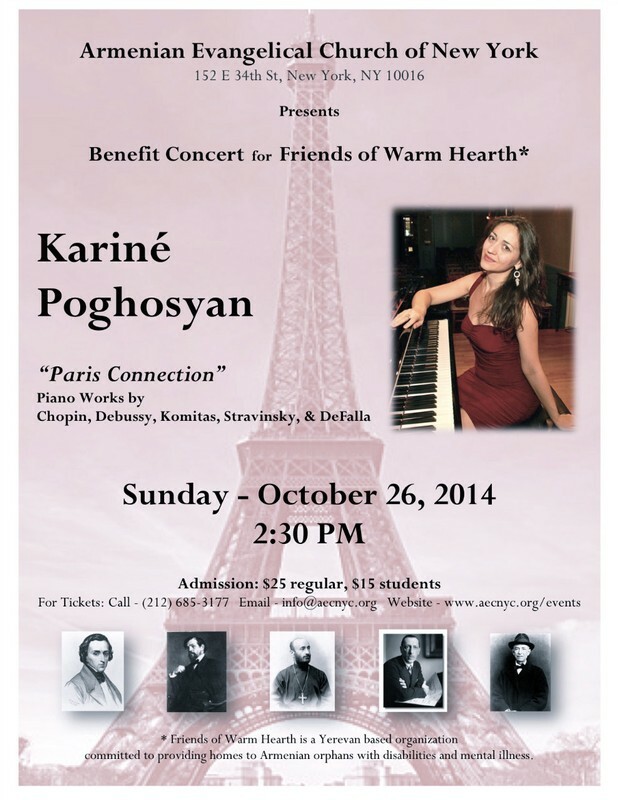 The Armenian Evangelical Church of New York has sponsored a benefit concert, starring Karine Poghosyan, on our behalf. We are so grateful for this generous gesture. 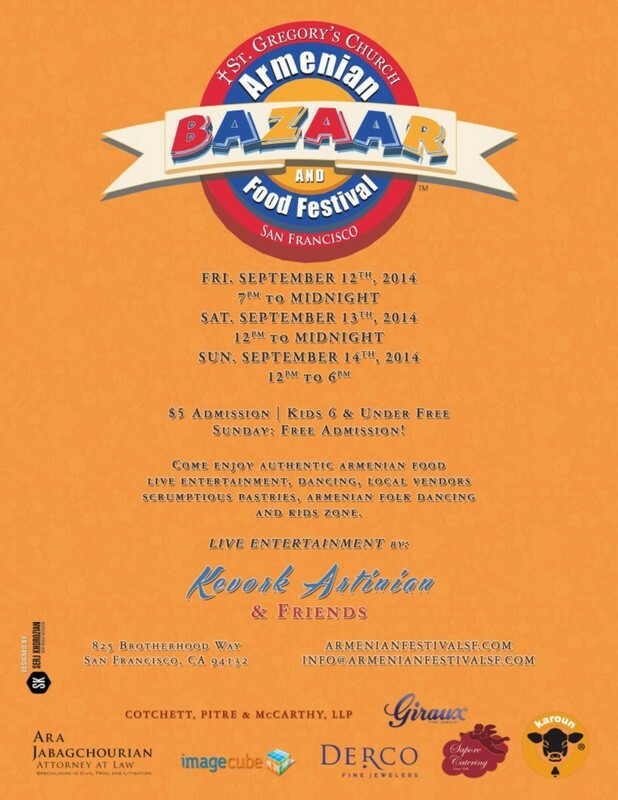 For the 8th year in a row, we will be at St. Vartan's Bazaar. It is always wonderful to meet new supporters and to connect with so many people who have lovingly supported our home for many years. Join us! For the 2nd year, we will be at St. Gregory's Bazaar. Please stop by our table and say hello. 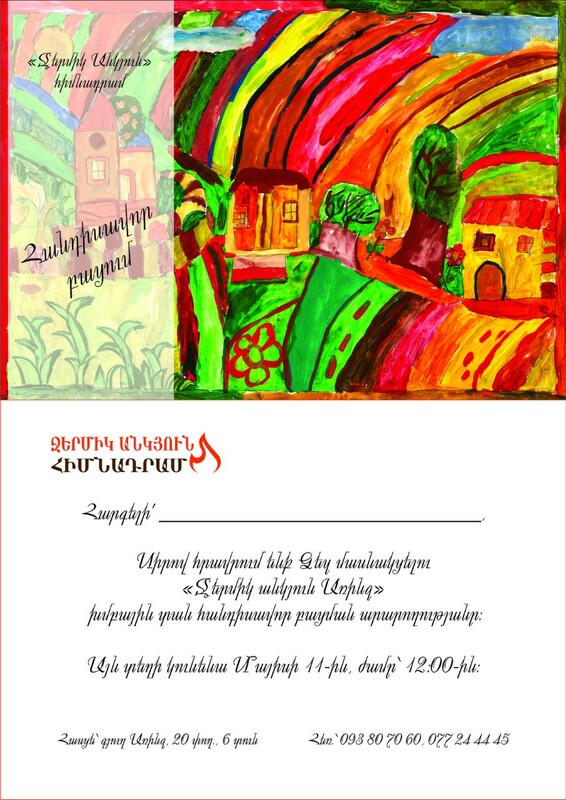 We'll be showcasing some of our residents' handicrafts and will have beautiful photographs of Armenia for sale. All proceeds benefit our residents. 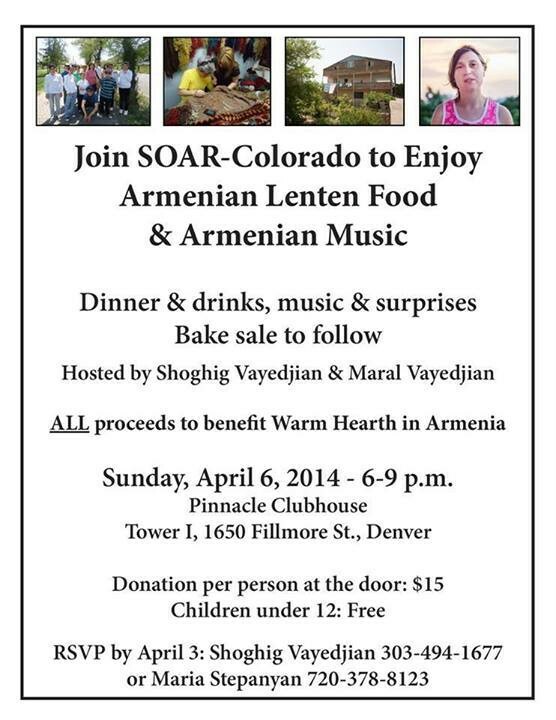 The SOAR-Colorado chapter is again organizing an event to celebrate Armenian heritage while raising funds for our residents. Join us at this event! 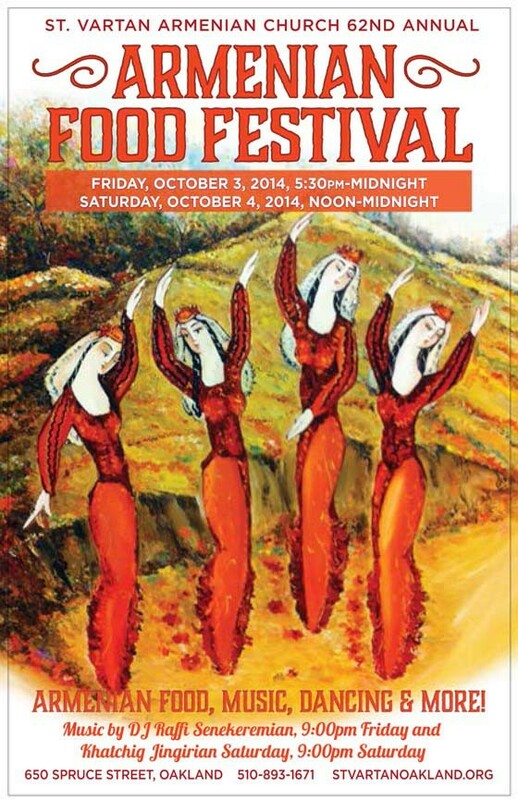 Warm Hearth will be represented at an Armenian Festival in Texas from Friday, October 11th through Sunday, October 13th. The event is an all-day affair and will be held at 1805 Random Road, Carrollton, TX 75006. 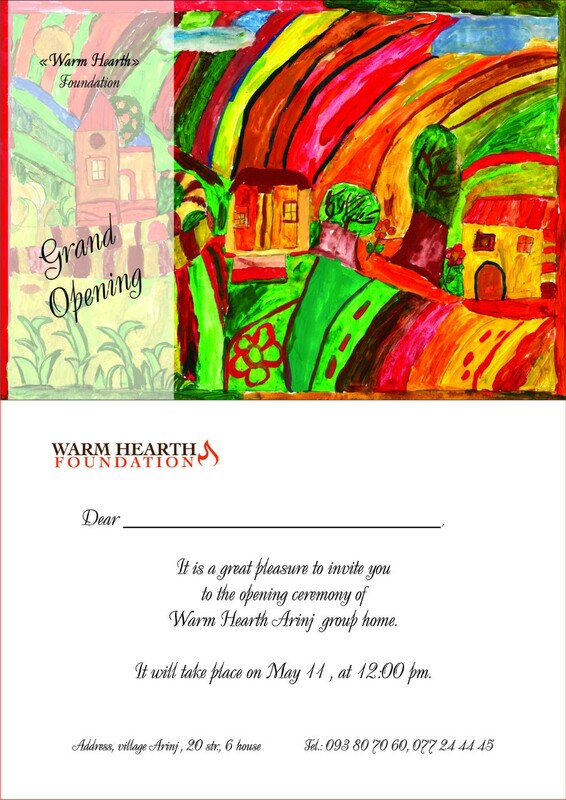 Warm Hearth will have an informational booth and be selling the residents handicrafts at the 71st Annual St. John Armenian Food Festival. Please consider joining us from Saturday, October 19th at 12 pm through Sunday, October 20th at 4:00 pm. Location: 275 W. Olympia Way, San Francisco, CA. 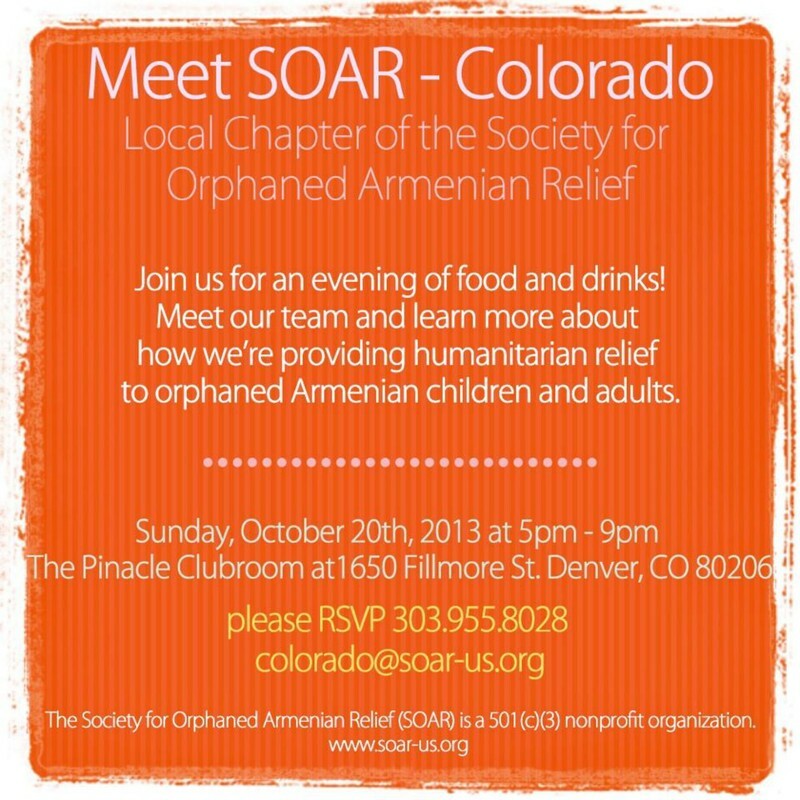 The SOAR-Colorado chapter is committed to raising funds for our residents. Join them at this next event!